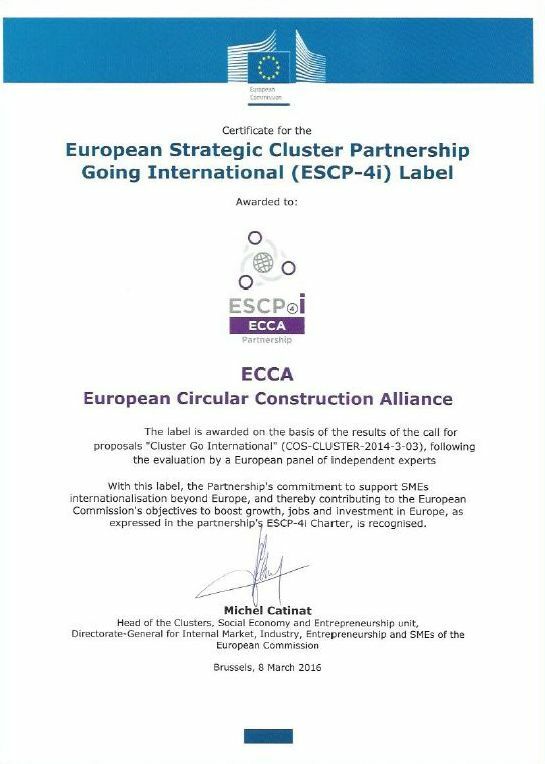 The European Commission has selected 24 “European Strategic Cluster Partnerships – Going International” as a result of the COSME call “Cluster Go International” (COS-CLUSTER-2014-3-03). One of them is ECCA project. 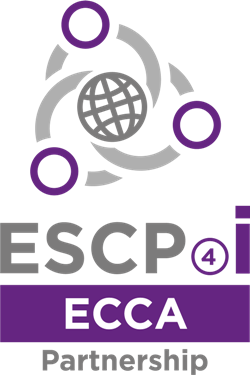 The European Strategic Cluster Partnerships – Going International (ESCPs-4i) were labelled by the European Commission, DG Growth and the Executive Agency for SMEs of the European Commission following the COSME call COS-CLUSTER-2014-3-03 – Cluster Go International and their activities started as ESCP-4i labelled partnerships at the beginning of 2016.
competitive products, services and technologies in the field of circular construction and support SMEs in global competition.